I had the pleasure of meeting new friends, artists, & people from all over the globe! It brings warmth to my heart to have had the opportunity to be a first time vendor with Arts Whistler this winter season, and to have received such sincere glowing smiles about the pieces I make. 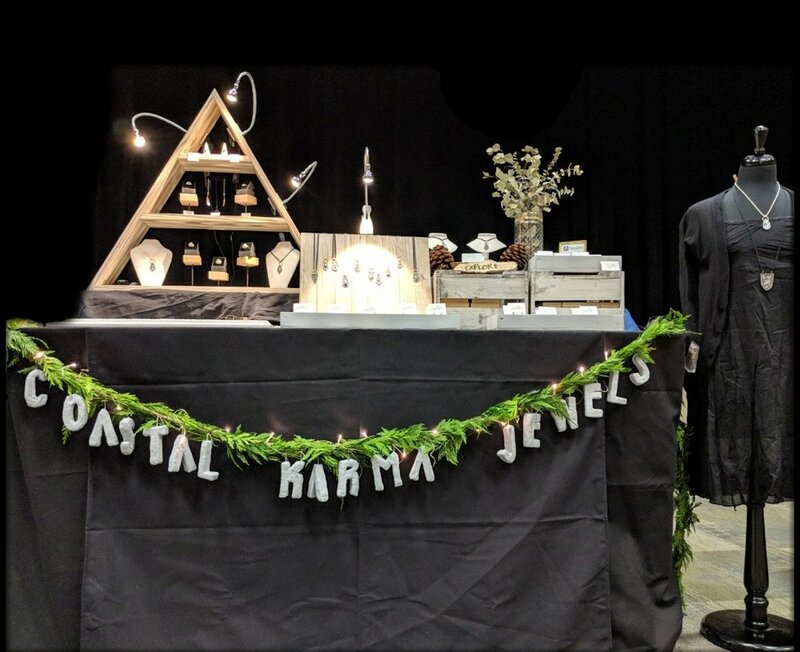 It was a huge push for me to create, make, and refine every single piece of jewelry I had to offer, as well as put together a display! It was so much fun searching my home for pieces that would work well with the table, as well as making pieces! Charcoal & Grain - beautiful hand built homeware from reclaimed wood! The gorgeous triangle shelf on my display table? Holly custom built it. Ildiko Jewelry - gorgeous handmade jewelry, Ildiko hand-knots each pearl on the pearl necklaces!